The Central England Co-operative has been offering free bus services from within the local area every Thursday to its Co-op store in Oundle for nearly twenty years. Operated by Decker Bus, there are two buses covering routes to the north and the west of Oundle. One bus starts at Wittering, moving through Nassington and several other villages including Warmington, before arriving at the Coop at 10.20am. The other southern bus starts in Holme and picks up at several villages including Polebrook and Barnwell, arriving at Oundle at 10.45am. 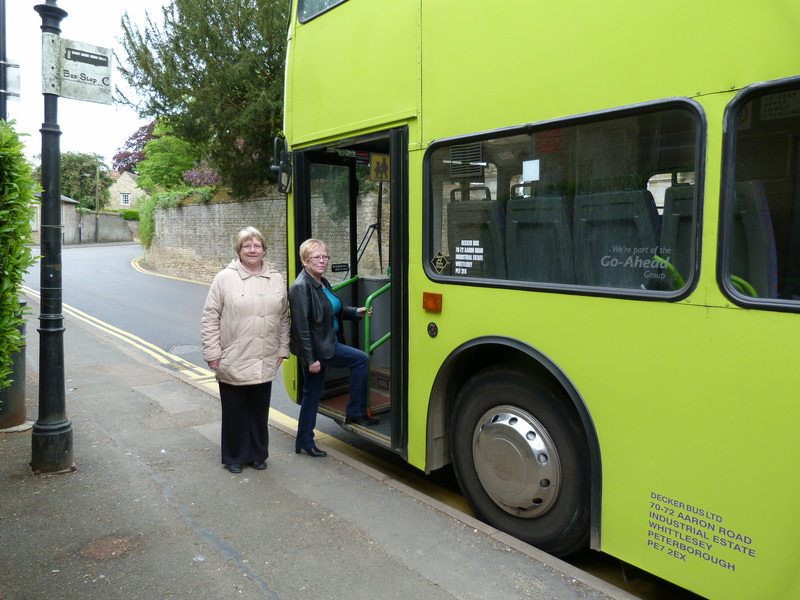 Both schedules give passengers about one and a half hours to roam Oundle, with both buses departing at 12.15pm for the return journey back to the villages. Oundle. It used to run on Tuesdays, but changed to Thursdays. Shirley Smith and Angela Gibson come in every week from Nassington. The Thursday market day in Oundle is a great day to go shopping in the town centre. ‘Some people go to the Coffee Tavern to have an all-day breakfast, or go shopping in town. We do our shoppng at The Co-op,’ said Angela. Up to thirty passengers a week use the service, and with capacity for even more, the Co-op plans to continue its service for the foreseeable future.